What’s the link between Newlyn in Cornwall – where I had a fisherman’s cottage for 20-odd years – and Skibbereen, our nearest town here in West Cork? 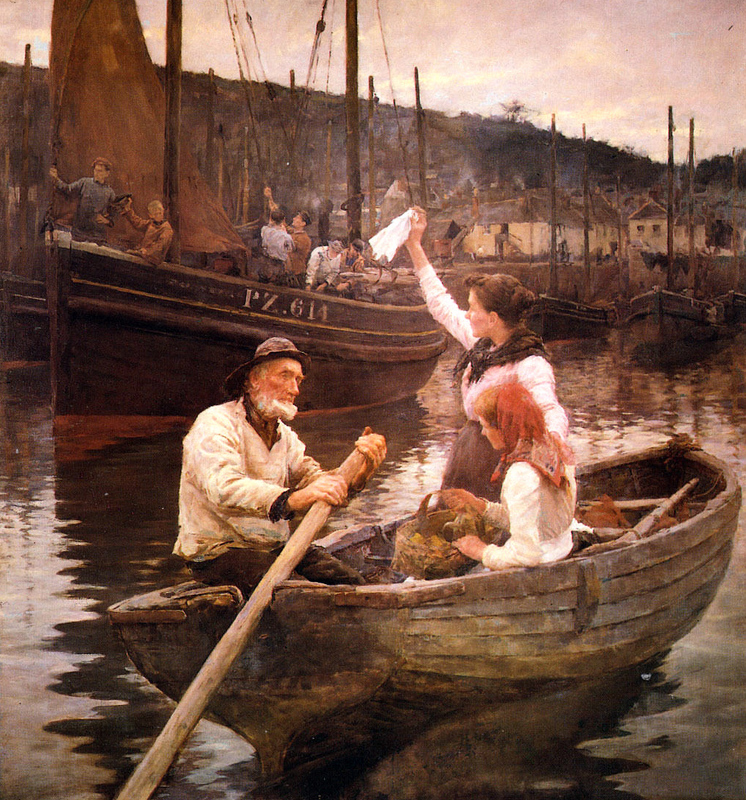 The answer is ‘art’, and the painting below by Alexander Stanhope Forbes sums it up: Off to Skibbereen from Newlyn. Stanhope Forbes was born in 1857 in Dublin and worked in the en plein air technique of painting, first in Brittany and then in Cornwall, where he settled and founded the Newlyn School of artists. He died in Newlyn (a day or two short of my first birthday) in 1947. If you want to see a collection of Newlyn School paintings visit the Penlee Gallery in Penzance: they are superbly detailed depictions of everyday life in a working fishing community during the late nineteenth and early twentieth centuries. En plein air was all about light, sun and clarity: the artists chose places where the light was at its best, usually close to the sea. My cottage looked out over Mounts Bay in West Penwith, on the far south western tip of Britain. Like the lugger in the picture I have crossed the Celtic Sea from Cornwall, and I now live on the far south western tip of Ireland. I am intrigued by the Off to Skibbereen painting. It tells a story, but we can’t guess that story. It’s presumably PZ 614 that’s on its way to Ireland, and not the ladies in a small open punt with a basket of sandwiches… But why Skibbereen? Records show that from the 1820s Newlyn fishermen were chasing the Herrings off the coast of County Cork. 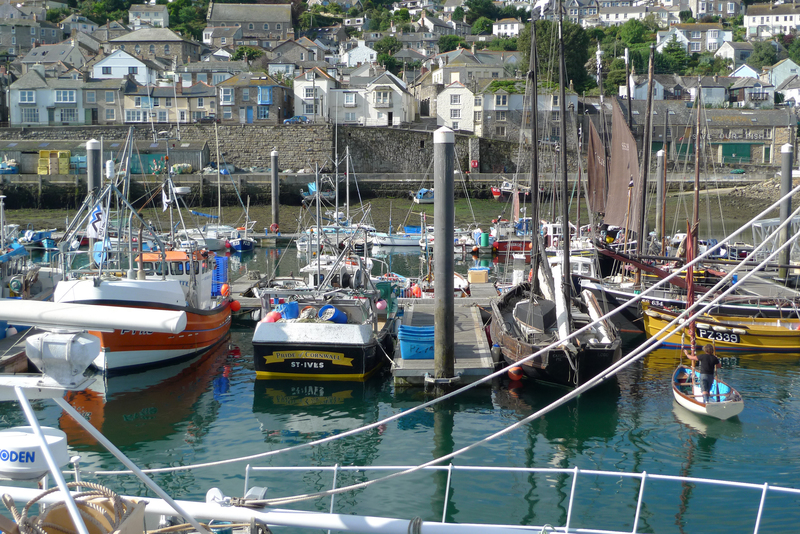 On the whole the fishermen of Newlyn were active most of the year. In January and February they fished for Mackerel off South Devon, following the shoals westwards to Mounts Bay for the next couple of months. Then they moved to Irish waters for the Herring season, returning in July to catch Pilchards until December. They were away from home for weeks at a time so a departure could be a poignant time for their families. 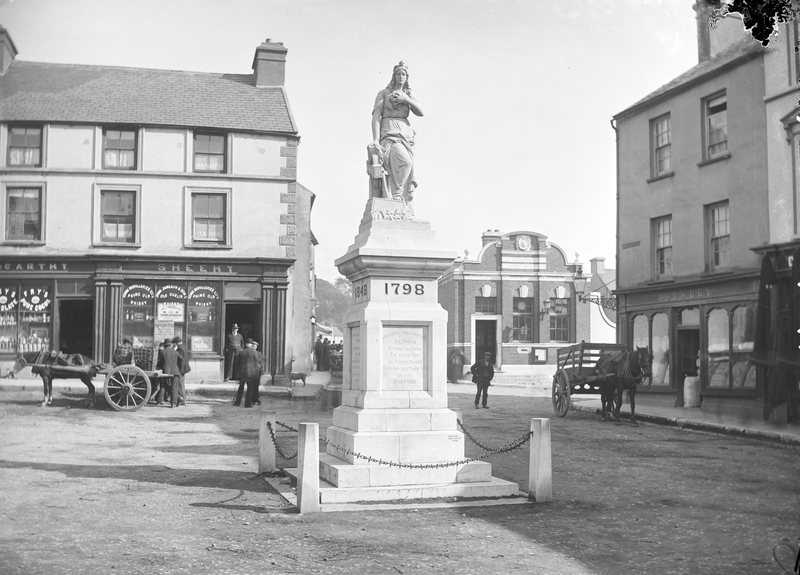 Skibbereen at the end of the 19th century: can you spot the cat? 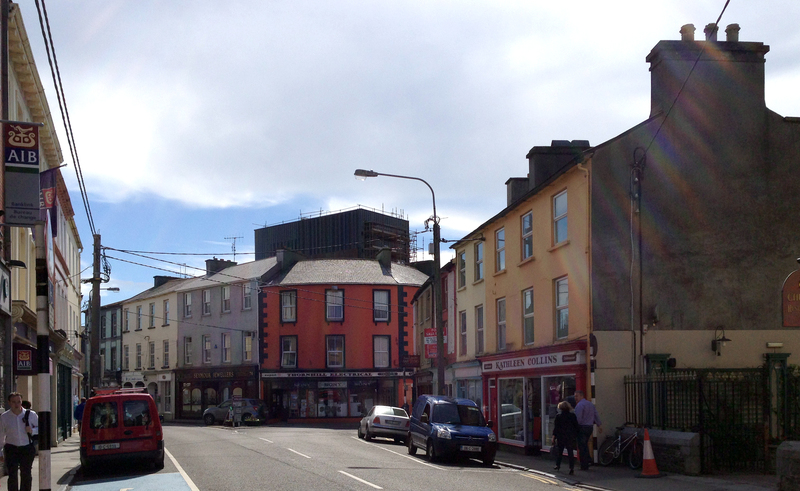 There is a new development going up in the centre of Skibbereen right now, just by the old Levis Quay. It’s on the site of a rather bleak four-storey warehouse structure (now demolished) known most recently as Wolfe’s Bakery. This new building is all about art – rather neatly for my thesis on the artistic links between West Cornwall and Western Ireland. The people of Skibbereen are very fortunate to have secured funding for a major arts building, especially in the present climate of austerity. 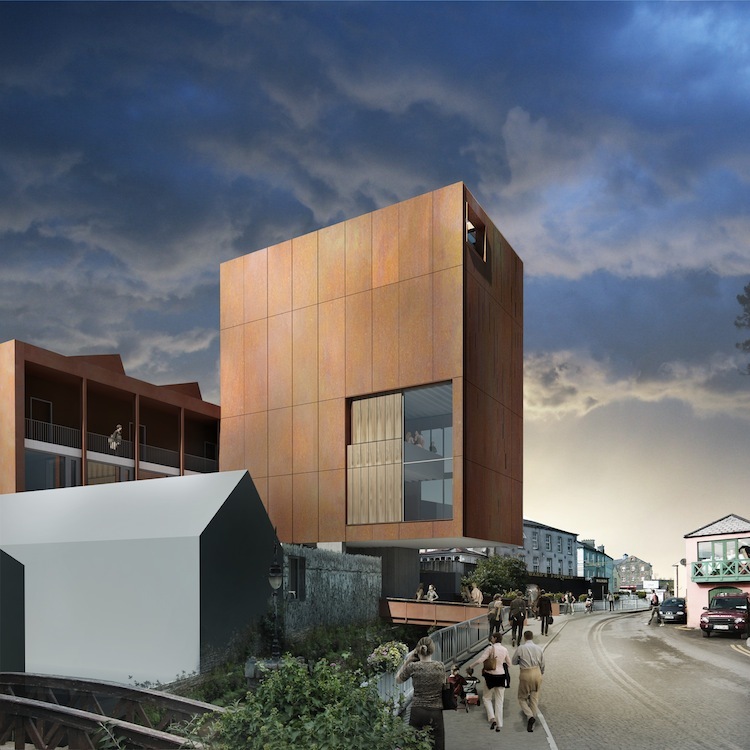 The West Cork Arts Centre will house exhibition space and studio space for artists and social spaces for the community, including enhanced workshop, dance, performance and film club facilities providing a ‘centre for excellence’ in the visual arts at local, national and international levels. 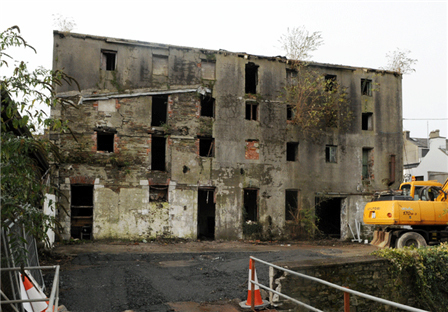 The building occupies the ghost of the earlier warehouse and is on five storeys, all fully accessible. Valuable extra space is cleverly gained by cantilevering a portion of the main block out over the Caol Stream. An international design competition was held for the design of the new centre, and this was won by Architects Donaghy and Dimond of Dublin. Visually the building is stunningly contemporary – and this works well in a small town with a diverse architectural language spanning many centuries. So often, new buildings are not allowed to be ‘of their time’ and resort to pastiches of older styles with the result that present day town centres can lack any dynamic character. 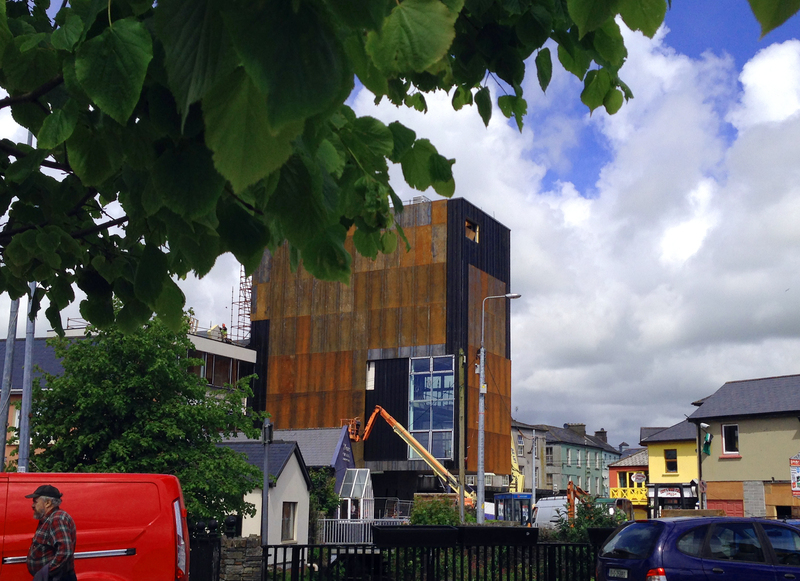 The building is being clad with a material known as ‘Corten‘. It’s actually rusted steel! It’s an attractive and durable finish which matures and stabilizes as time goes on. The appearance of a large rusty steel box in the centre of town is exciting some comment but – as always with anything new – judgement is best reserved until the project is completed. In my opinion it will add to the attractions of Dear Old Skibbereen and provide very welcome new facilities in the heart of this creative community. Well done Skibbereen! Here’s an idea: several of the Newlyn School artists were Irish – or had Irish connections. Perhaps in West Cork we should put on an exhibition highlighting artistic links – old and new – between Cornwall and Ireland? This entry was posted in Architecture, Industrial Archaeology, Irish History, Roaringwater Bay, Skibbereen, West Cork Blog and tagged Alexander Stanhope Forbes, Architects Donaghy and Dimond, Cornwall and Ireland Links, Corten, Donaghy and Dimond, En Plein Air, Herring Fisheries, Mounts Bay, Newlyn Cornwall, Newlyn Fisheries, Newlyn School of Artists, Off to Skibbereen, Off to Skibbereen from Newlyn, River Ilen, Skibbereen Arts Centre, Skibbereen Historic Quays, Skibbereen Town Development Plan, West Cork Arts Centre, West meets West, West Penwith, Wolfe's Bakery. Bookmark the permalink. One of the ugliest buildings that I have ever seen and totally out of context wit the rest of the town. It looks like the grain silos currently being demolished on the quays in Cork. Thanks for the comment Dan. To be fair. i think we need to see the finished building and also allow the finish to weather. I’m looking at it mainly in its setting behind Field’s, where the architecture around it is tacky and nondescript. I think that the new centre is a strong piece of design which can sit quite happily in that context. While I agree with you about ” withholding judgement” , I find myself appreciating the Centre’s “look” more every time I see it.